For over 20 years, the Carl Bennett and Daniel Tully Corporate Invitational has been pulling together foursomes to fundraise under the leadership of Co-Chairs Carl Bennett and Dan Tully. 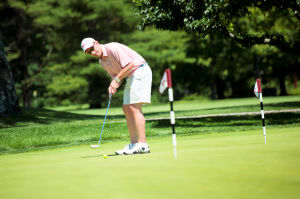 Over the years, the Outing has raised more than $4 million for cancer research. The event has a limited number of foursomes, ensuring a well-paced and thoroughly challenging round of golf. For more information contact Kari Pollak at 203-276-2554 or kpollak@stamhealth.org.